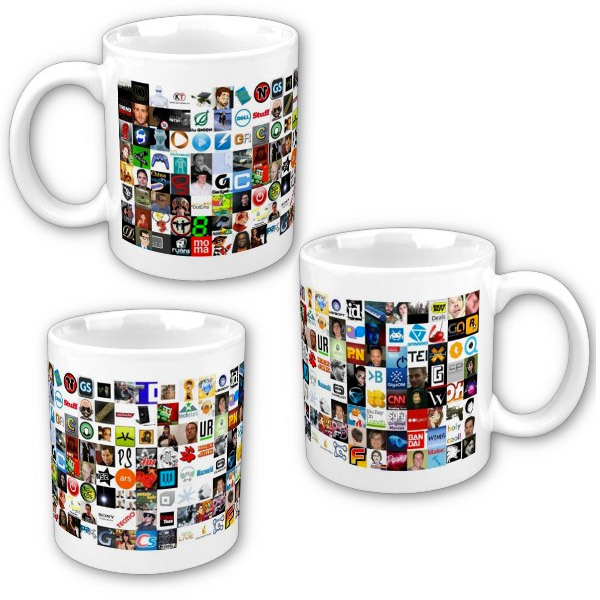 Nope, this mug won’t tweet for you, but it will show off all the people you follow on Twitter. While a tweeting mug could be kind of cool, it would be pretty useless unless you’d be able to input some swanky 140-character tweets. Maybe something like “This coffee is too hot. 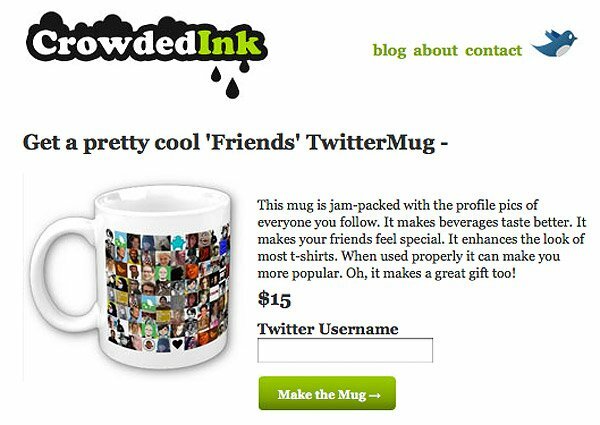 I’ll wait to drink it.” or “Needs more sugar.” To make your own Twitter Mug, just head on over to CrowdedInk, input your Twitter username and pony up your $15 bucks. For an office warrior, it’s kind of cool to have such a one-of-a-kind mug. You’ll be sure that no one can get away with stealing yours from the office, because no one has the exact same mug.